Why doesn't the New Year's Honours List include golfing people like Gordon Murray? Gordon Murray, more than 40 years a Hazlehead Golf Club stalwart (club captain 1985-87 and now an honorary member). President of the North-east District of the Scottish Golf Union and, in 2011, president of the Scottish Golf Union itself. But still no mention in the New Year's Honours list which includes many less deserving people. Gordon will be 84 on May 22, 2019. 1981 Elected to committee of North East District of SGU. 1985-1990 Boys Convenor of North East District of SGU. 1990-1992 President of North East District of SGU. 1994-1995 re-elected to North East District of SGU. 1995-2010 Area representative to the SGU. Served as Boys selector/Coaching, Training convenor/ Championship committee. 2011 President of Scottish Golf Union. 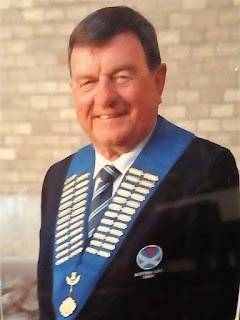 1981 - 2011 Secretary of the Aberdeen Pennant League. 1992 to date Secretary of the Aberdeen and District Junior Pennant League.